Scandinavian-inspired interior design is having a moment. I love seeing how different cultures interpret universal décor themes. As we head into dark fall and winter evenings, the need for light, bright, and airy moments becomes more pronounced. And Hygge—the concept more than the specific look—is all about creating a sense of place. A “cozy” intent is one where people feel comfortable, at ease, and happy. They feel warmth and security. I strive to create those kinds of spaces with all of my designs—even if it’s not all pastel, white-washed woods, and white furs. It’s the principal that you can create a feeling in a space with intention that I love. Oh, and of course! Candlelight! Layers of texture, layers of dimmable light…all so, so important to every room I do. But I’m getting ahead of myself (and the topic). 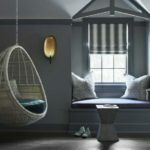 This guest blog post on Scandinavian design comes courtesy of interiors writer, Allison Lindeman. A designer in training, Allison is a student at KLC School of Design in London, England. 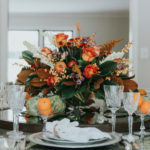 She has spent the last nine years living in London with her Norwegian husband and three small children, the last three of which have been occupied with gutting and renovating their five-bedroom Victorian townhouse. 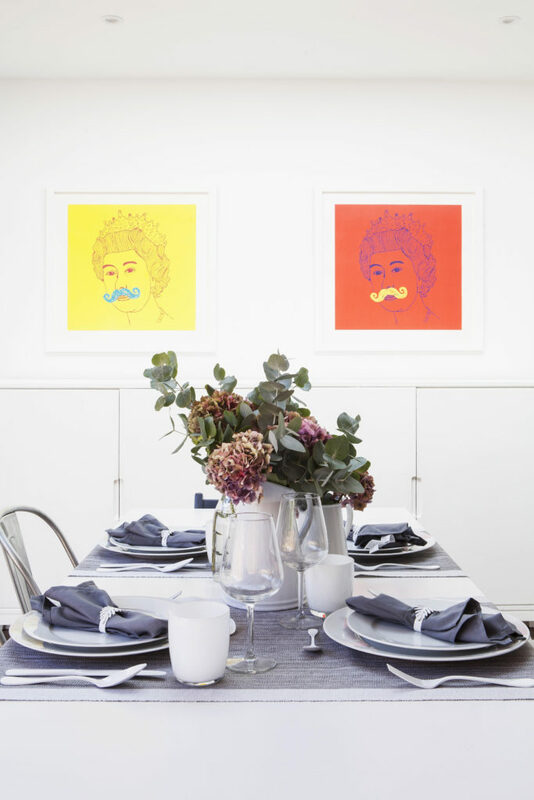 Prior to moving to London, Allison spent several years in Copenhagen where she first discovered her interest in Scandinavian interior design (and Scandinavian men, apparently). 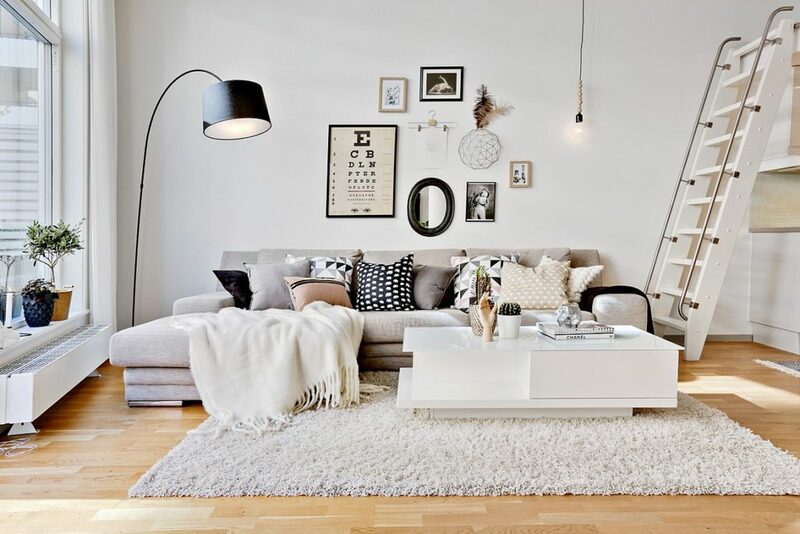 Read on as she shares her tips for mastering the art of Scandinavian hyggelig. 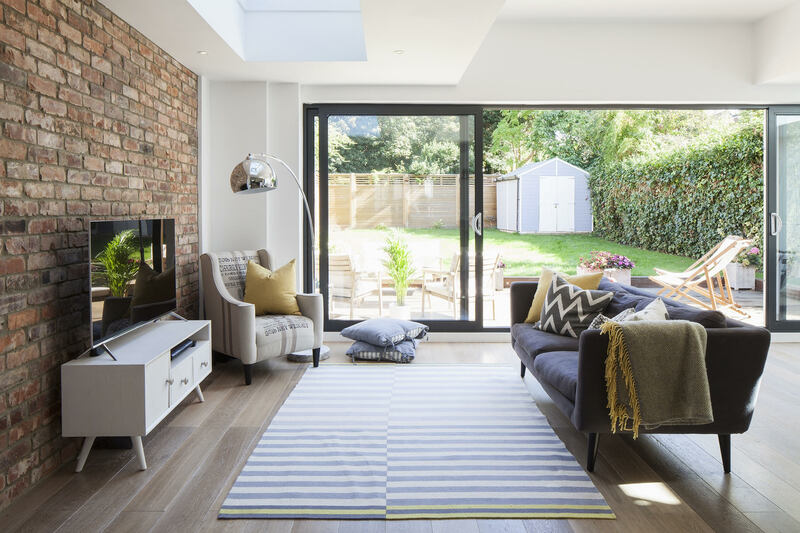 The idea of hygge is an attractive proposition in any scheme, and elements of Scandinavian design work well in most interiors. As a family, we are 50% Scandinavian (my husband is from Norway and I am from the US); so our home is influenced not only by Scandinavia, but American and British design as London residents. However, elements of Scando hygge work well anywhere. Here are my tried-and-true tricks. In Denmark, it is hyggelig (pronounced hoog-a-lee), in Norway, koselig (pronounced cosh-a-lee). Translating roughly into coziness, the art of hygge is as much about atmosphere as it is about companionship, as essential to Scandinavian culture as pork roast and Aquavit. Lonely Planet writer Cristian Bonetto writes about the Danes, “They are obsessed with coziness. All of them. Even the toughest leather-clad biker will recommend a bar based on its ‘hygge’ factor.” Hygge is a very real and alive, albeit difficult to explain, part of Scandinavian life. Hygge is sitting around a candlelit table, sipping wine, and talking about life with special people. It is a quiet brunch restaurant tucked down a Copenhagen back street. As you might expect, high season for hygge is winter holiday time: Short days and long nights allow for countless candlelit evenings on sheepskin rugs in front of the wood-burning stove. However, it is not exclusively so. No matter the season, hygge is a vital concept in Scandinavian culture, perhaps a contributing factor as to why Danes in particular are continuously ranked the happiest people in the world. For more than half a century, Scandinavian design has pushed the envelope for being simple, practical, streamlined, functional, and, perhaps most importantly, comfortable. You only need to look at Charles and Ray Eames’ DSW chair to understand how smart design can transcend time and trends. First introduced in 1950, the Eames’ DSW chair is as cool today as it was over 60 years ago, and works not only in traditionally Scandinavian interiors, but in all kinds of interiors. The risk with attempting the Scando aesthetic is that it can come off cold if not done properly. Minimalist lines and neutral colors can fall flat. However, good Scandinavian design is layered and varied, using texture and materials, rather than color, to create depth and interest. Additionally, lighting is critical for both practicality and mood. Finally, a few smart design choices, from simple candles to the more permanent wood-burning stove, evoke warmth and coziness. Together, these elements create the hygge factor. Below, three easy tips for incorporating the sought-after hygge into your life. Pure, simple, and functional colors (think white, beige, pale anything, and trending right now, grey) are at the core of Scandinavian design. 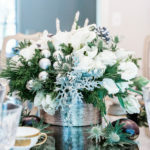 However, it is becoming more and more common to inject splashes of color to add interest to a décor scheme. Regardless of color choices, it is the design aspects—simple, streamlined, non-fussy—of a home that translate to a true Scandinavian aesthetic. 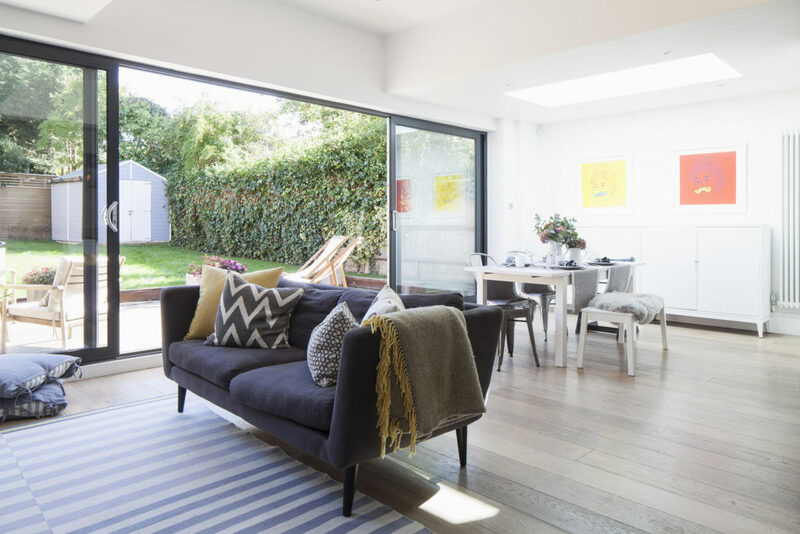 Light flooring is a typical choice when designing a Scandinavian scheme: either light, raw wood (such as oak) or painted wood is the presumptive choice. This elevates the luminosity and plays off similar tones in the walls and furniture, giving a sense of light and space that gets the Scandinavians through long, dark winters. 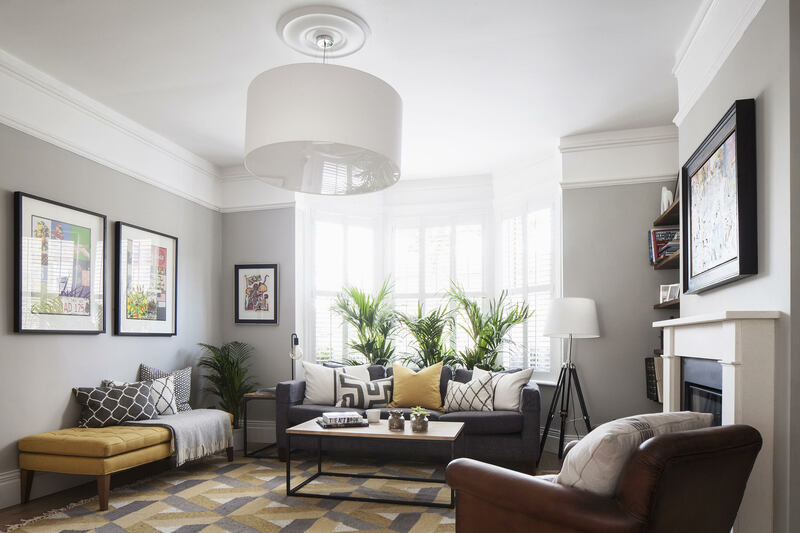 In my own home, a typically English, Victorian semi-detached house located in suburban London, we have used a monochromatic scheme almost exclusively in the main living spaces. I love Farrow and Ball’s Modern Emulsion in Blackened, which is fully wipeable and perfect for a busy hallway. 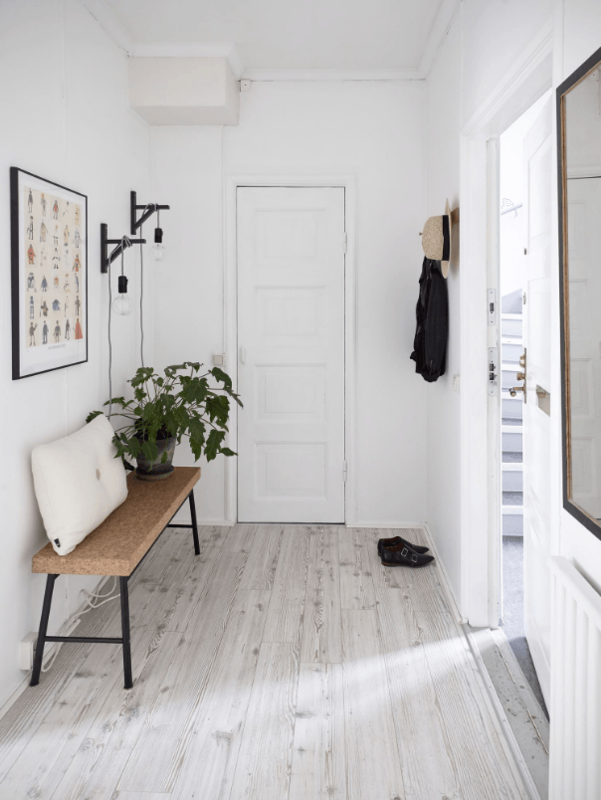 Many black and white family photos and subtle touches of color, such as a yellow cushion on a bench just inside the door, help soften the overall feel of the space. The addition of plants evokes nature, as is typical in Scandinavian homes. 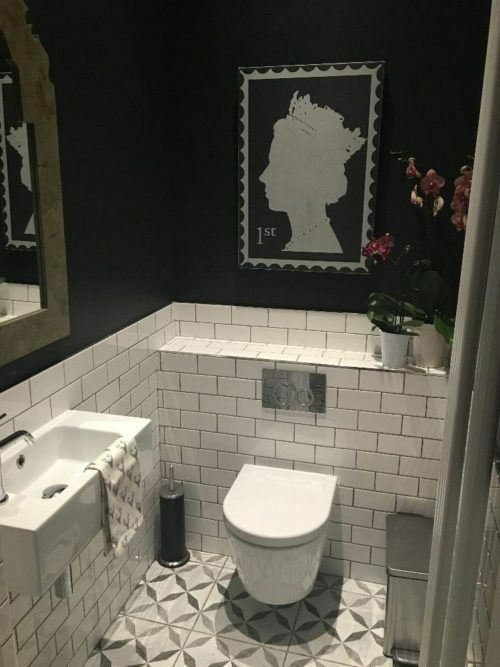 This small bathroom is located just off of our hallway, and as the flooring is the same, we used similar color choices, albeit on a bolder, darker wall. We used Farrow and Ball’s Modern Emulsion in Off-Black. White metro tiles work well in this powder room. Metal accessories and the wooden mirror and stamp art (done on wood and with texture) keep in theme, which brings us to our next tip: Mix materials. Scandinavian design seamlessly blends various materials. Against a neutral backdrop, leather, wool, sheepskin, metal, concrete, and wood live harmoniously together. The critical component here is to keep the tones of the materials within a similar color genre, for example, white and grey. Otherwise, the varied materials will clutter and busy the space, which is the opposite of what the design scheme is attempting to achieve. When designing my house, I aimed to create a clean and modern open-plan living space in the Scandinavian aesthetic. The main living space has four zones: TV/play area, sitting area with fireplace, dining area, and kitchen. In keeping with the idea of mixing textures, we have raw brick, untreated wood, clear glass, industrial metal, and various soft furnishings, including wool and sheepskin. In our busy household with three small children, there is very little that is breakable or doesn’t wash easily! In the kitchen area, handle-less cabinets in two neutral shades, chalk-white and a mid-grey, are the foundation. 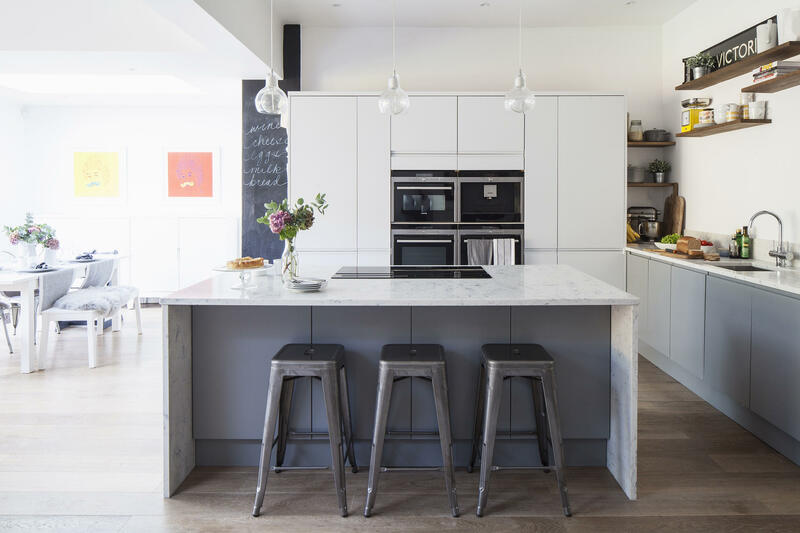 Marbled worktops, raw wood shelves, and a mix of white porcelain and industrial accessories add interest. A splash of yellow adds contrast and matches accessories elsewhere in the space. Industrial elements set the tone here, and we used popular products from leading Scandinavian designers to achieve the look: Tolix Marais counter stools by Xavier Pauchard and Mega Bulb SR2 pendant lamps with clear cords by Sofie Refer for andTradition. After our major renovation, we created a light, minimalist, and relaxed family space where we can eat, play, and spend time together. 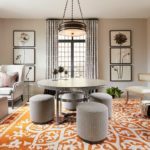 Metal chairs and a stark-white table are softened by the addition of a grey sheepskin rug on the dining bench in the dining space. Neiman Marcus sells sheepskin rugs in a variety of sizes for a good price point. Plenty of streamlined storage is also a critical component to creating a minimalist look; however, you will not find anything minimalist behind the cabinets as a mountain of Lego falls to your feet when you open the doors! Of the utmost importance to Scandinavians is natural light: flood your home with as much of it as possible, for as long in the day as possible. I never considered which direction a house faced to be of such critical importance until I went house shopping with my husband. The first question he asked was whether or not the house had a west-facing garden, that is, would it get evening sun. It seemed almost silly at the time, but now, is such an important part of the way we live. Cozy is not just dark evenings, but bright days filled with warmth and comfort. 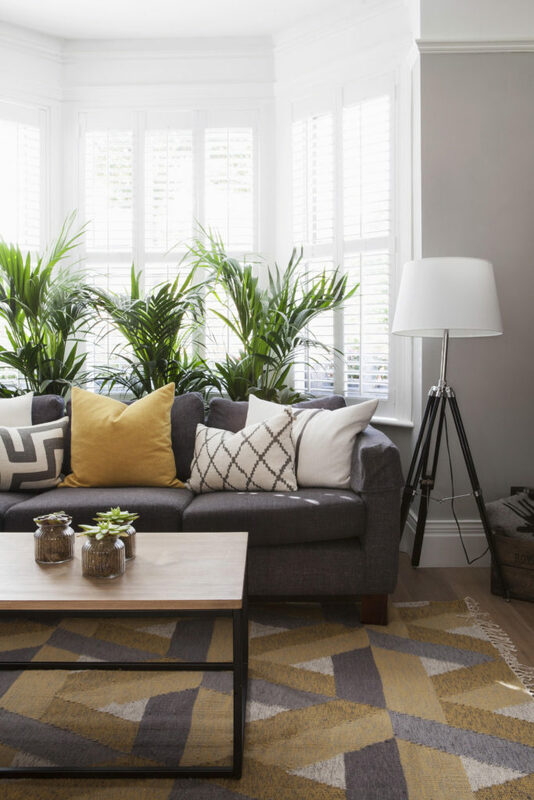 Scandinavians rarely fuss with fancy window dressings and are more likely to pick sheer or floaty curtains, if any at all, or those that can be easily pulled back or taken down completely during the long days of summer. Bringing nature to the inside with plants or greenery is the idea. In the Scandinavian home, it is rare to have a single light source in any room, overhead spotlights exclusively for example. Instead, there are well thought out pendant lights, combined with floor and table lamps. Spotlights, if they exist at all, are on dimmer switches. And any one or combination of these, together with candles, may be used to create hygge. As kings of design, Scandinavians have mastered interesting pendant lights: this is evident in the most affordable IKEA varieties to the most expensive design. 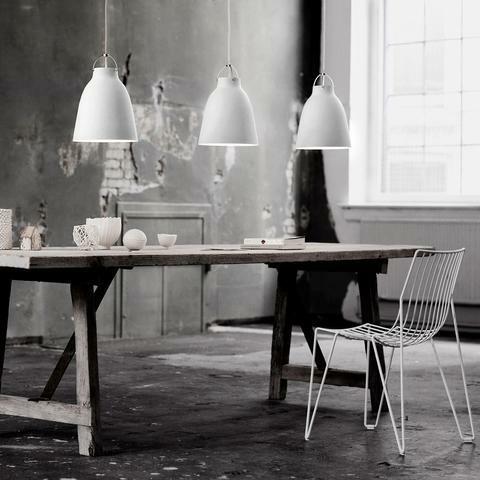 One of my personal favorites is the Caravaggio pendant range from Cecilie Manz, shown below. Scandinavians consume more candles per capita than any other population on earth. Perhaps it’s the endless winter darkness that forces them to create beauty in the black. Candles are essential to a true hygge atmosphere, and walking up and down a street in Copenhagen or Stockholm on a winter evening, you will notice every bar and café awash in candlelight and low lights. 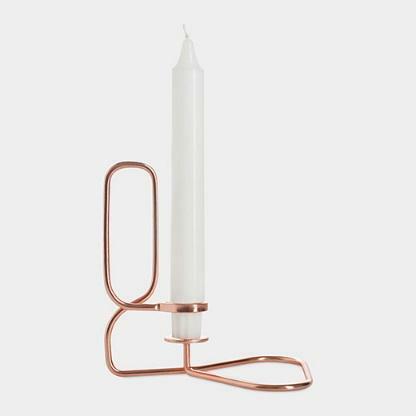 Try the HAY Lup candleholder available from the online MOMA design shop. Just last week, I hosted a dinner party for fourteen guests serving Fårikål, a traditional Autumn meal of lamb and cabbage, and I raced off to Ikea when I realized my ratio of candles to people seemed off. It wouldn’t be an autumn feast without warm lights and Aquavit. Yet, as I filled my belly with wholesome food and red wine, surrounded by dear friends over a beautiful, candlelit table, I was yet again reminded that the elusive art of hyggelig is not just in the things in your home, but rather the people who fill your home that matters most.